Most behavioral phenotypes (e.g. melancholic, aggressive, anxious, fearful, or autistic) are quantifiable. A person can have a very mild, an intermediate, or a very severe phenotype. Only upon reaching a certain severity threshold, a neuropsychiatric diagnosis may arise. As a typical example, autistic traits are on a continuum, normally distributed across health and disease, including at the extreme ends the diagnoses of autism and of pathologically hypersocial behaviors, respectively. Shared features of an autistic phenotype are variably severe deficits in social communication, reading of social signals, and cognitive flexibility, typically together with restricted interests, repetitive behaviors, and prominent routines. Regarding the causes of autistic phenotypes, “many roads lead to Rome” — meaning that numerous genetic constellations can result in autistic behavior. Also, environmental factors can add to the occurrence of autistic features, here mainly intrauterine events, like viral infections of the pregnant mother. Pathophysiologically, the multiple causes likely converge at the synapse, as indicated by mutations of genes influencing synaptic function. They result in a mild synaptic dysfunction, also addressed as synaptopathy, and are reflected by an autism-typical excitation-inhibition dysbalance of neuronal populations. This dysbalance has manifold been consolidated experimentally using genetic rodent models and likewise been suspected in humans, mainly based on electroencephalographic findings, including the frequently observed predisposition of autists to epileptic seizures. Importantly, not only mutations but also an “unfortunate” accumulation of normal genetic variants can contribute to the manifestation of autistic traits. The authors of the INDEX paper hypothesized that these objectively measurable consequences of the heterogeneous causes underlying autistic traits, which characterize the final common pathway to the phenotype (“Rome”) are not restricted to the diagnosis of autism but transcend disease borders and are of quantitative rather than qualitative nature. Thus, they wondered whether well-matched schizophrenic individuals, differing only with regard to the clinical severity of autistic features, would show respective differences in excitation-inhibition as an overarching functional consequence of the diverse causalities. To address this question in humans, the authors applied transcranial magnetic stimulation (TMS). TMS allows noninvasive focal brain stimulation in humans, where localized intracranial electrical currents are generated by extracranial magnetic fields. Translating this paradigm to the autistic continuum, the authors provide intriguing first evidence of a connection between behavioral phenotype severity and functional cortical correlates in humans. For proof-of-principle, carefully selected male schizophrenic subjects of the GRAS (Göttingen Research Association for Schizophrenia) Data Collection agreed to participate in a TMS study. Autistic trait severity was quantified for each individual. 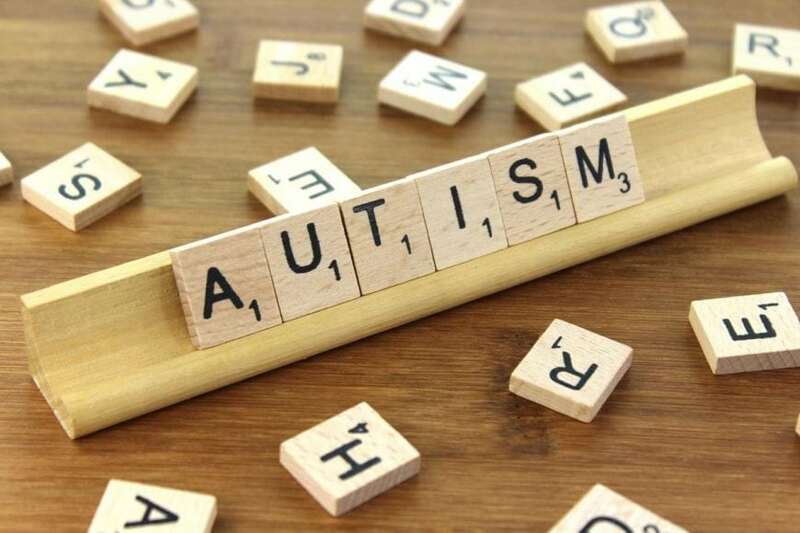 Subjects were then clustered according to the severity of their autistic traits into a high and a low severity group, matched for age, handedness, overall every-day performance, and medication. The TMS study monitored corticospinal excitability and intracortical inhibition of the motor cortex. For details on the TMS protocol, consult the INDEX paper. The study obtained a surprisingly clear separation of TMS-derived individual cortical excitation and inhibition readouts based on autistic trait severity: The group of schizophrenic men with more severe autistic features showed higher cortico-spinal excitability and higher intracortical inhibition compared to the group with low autistic features. Importantly, the ratio between excitation and inhibition correlated positively with the severity of autistic traits. These findings provide for the first time a “dose-response relationship” between severity of autistic traits and degree of excitation-inhibition dysbalance. Without an optimal matching of individuals regarding all main clinical characteristics, allowed through selection from the unique GRAS Data Collection of deeply phenotyped subjects, these results could not have been obtained. Taken together, the results of this study support the concept of a disturbed excitation-inhibition balance in human subjects with autistic features, transcending psychiatric diagnoses. The excitation-inhibition dysbalance findings obtained by TMS appear to be largely based on altered GABAergic and ion channel functions. The results suggest not only TMS as a new add-on biomarker of autistic traits across disease categories but also potential common treatment strategies targeting the excitation-inhibition ratio in severely autistic individuals. These findings are described in the article entitled Excitation-inhibition dysbalance as predictor of autistic phenotypes, recently published in the Journal of Psychiatric Research. This work was conducted by Bárbara Oliveira, Marina Mitjans, and Hannelore Ehrenreich from Max Planck Institute of Experimental Medicine, and Michael A. Nitsche and Min-Fang Kuo from the Leibniz Research Centre for Working Environment and Human Factors. Hannelore is a research scientist at the Göttingen Graduate School for Neurosciences, Biophysics, and Molecular Biosciences.